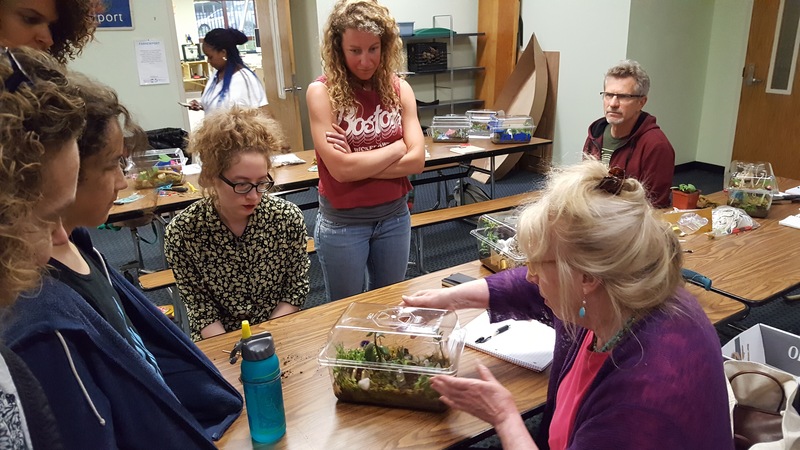 Providence-based poet Kate Schapira and artist Adeline Mitchell co-lead a workshop at FabNewport on Sunday, June 5th that combined reflective writing and terrarium making. Interwoven throughout the workshop were short expository writing exercises that asked the group to free style and reflect on what we want to honor and memorialize in the present for future generations. Prompts included asking participants what we may mourn the loss of in the future (due to life cycle, neglect, extinction, overuse, etc.) and how we keep things alive. 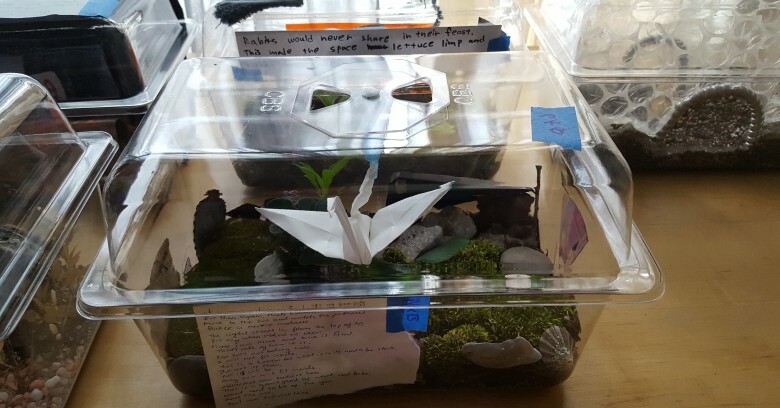 Participants then went on a scavenger hunt to incorporate found or discarded items (in many cases trash/ litter) into their terrarium worlds that also included ants, seedlings, plants and other cherished objects. 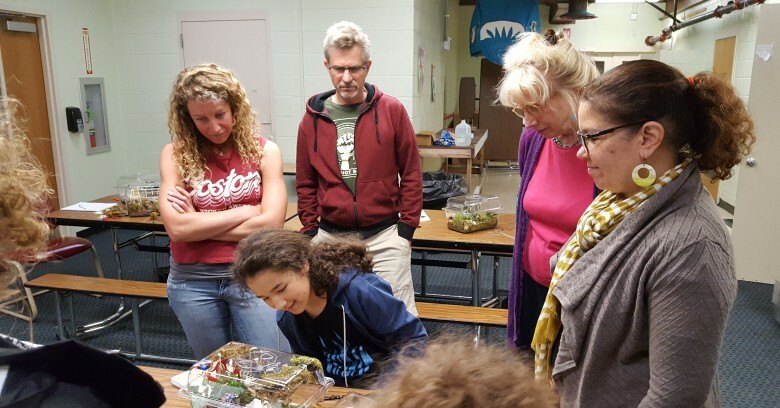 At the end of the workshop, the group convened to share out about their creations. 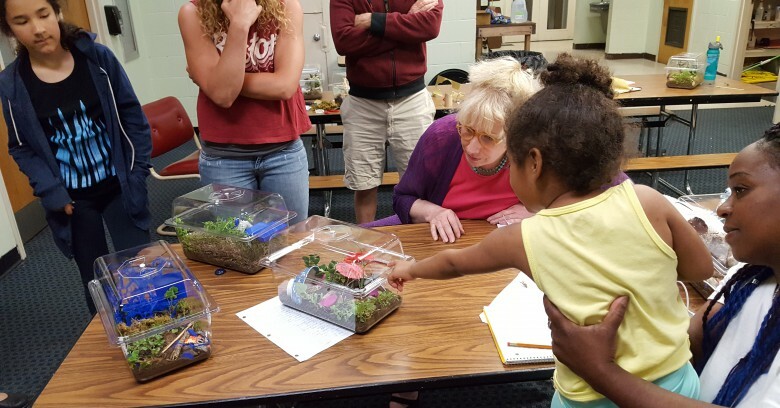 This workshop will be repeated with students and teachers at Rogers High School later in the week, and it has already inspired one of its participants to start a new creative writing group focused solely on future scenarios! 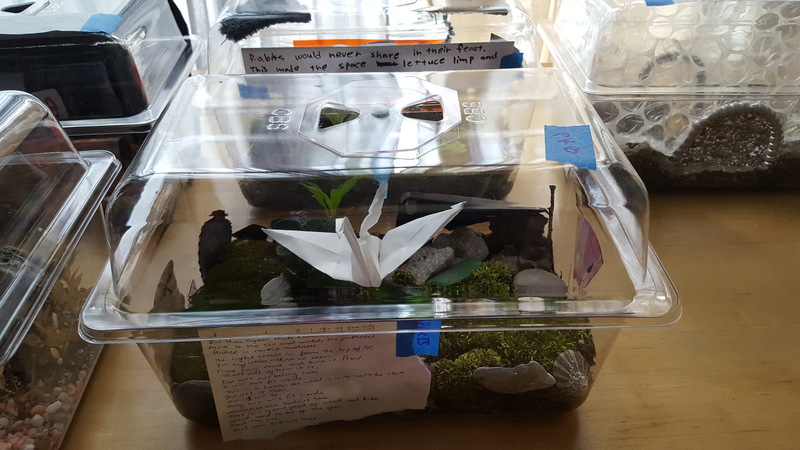 The terraria created during the workshops will be on display at the installation of the future Mayor’s Office, 2061 at the former Coffey’s gas station, 48 Touro St., Newport, RI. The public launch of the installation is Saturday, June 18th from 6-8pm. The installation will also be viewable to the public on Sunday, June 19th from 2-6pm. 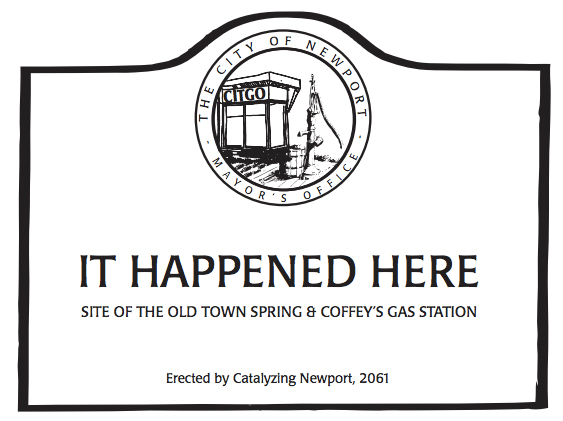 Come by to contribute your ideas to the future city of Newport! SUNDAY, JUNE 5, 2 – 4:30 P.M.
Rhode Island poet Kate Schapira and artist Adeline Mitchell will lead a workshop in terrarium-making and reflective writing to construct a futurist vision of what Newport, Rhode Island– and the world– will look like in the year 2061. 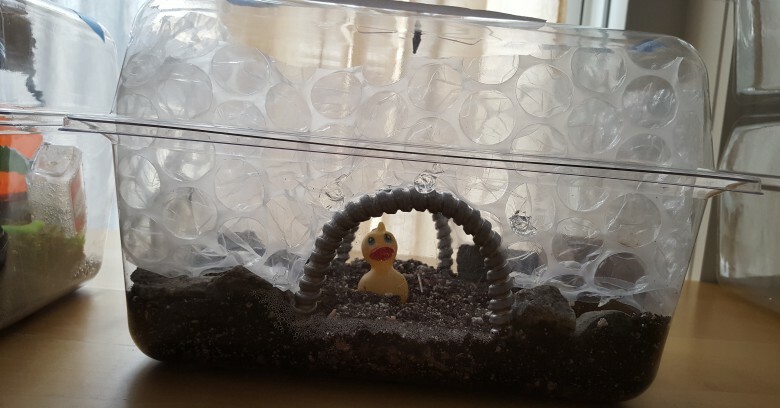 The intentional construction of constrained ecologies will serve as a chance for our community to collectively study and practice how we construct, nurture, shape or incubate the future in the present. 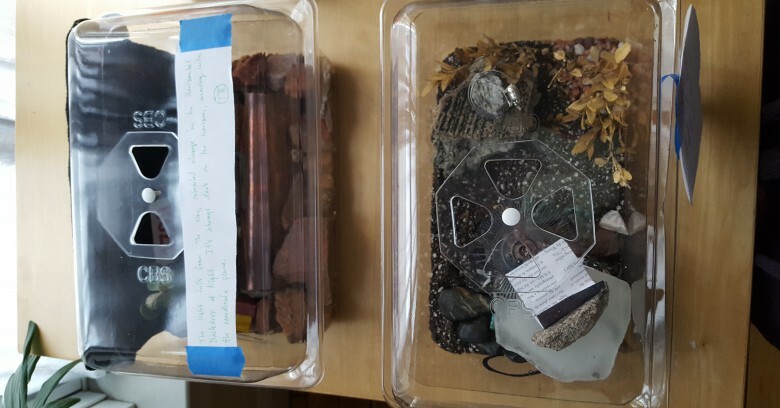 “Artifacts” created in the workshop will be on display in a public pop-up installation in Newport, RI, June 16-23 and returned to participants after the exhibition closes. 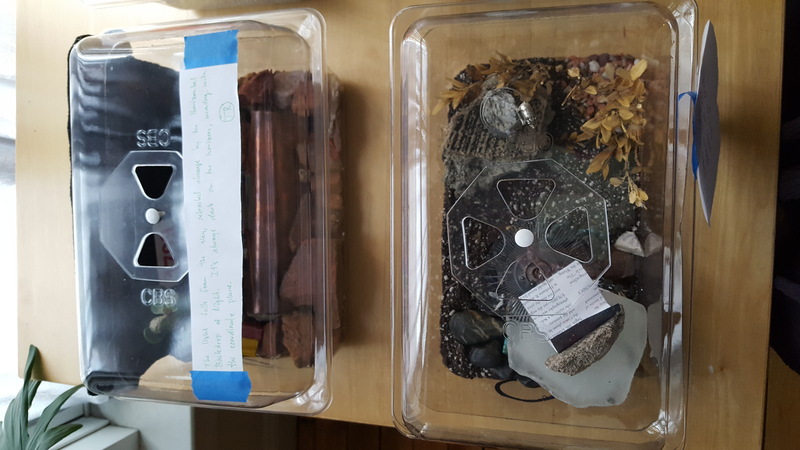 In the exhibition space, the terrariums will act as a biological library of forms chosen to preserve in this possible future, and the writing will serve as description, context, future relic and user’s guide. Catalyzing Newport welcomes futurist Jake Dunagan to Newport for a visiting catalyst residency from June 16 – 21. Jake is managing director and global foresight lead for verynice.co and research affiliate at the Institute for the Future, a California-based think tank that helps organizations plan for the long-term future. Jake specializes in social invention and the redesign of systems in light of current tools and knowledge. In his work, Dunagan has focused on a wide range of topics including strategic foresight, governance design, comprehensive cognitive design, intellectual property, Internet law and politics, mobility and the future of learning and work. 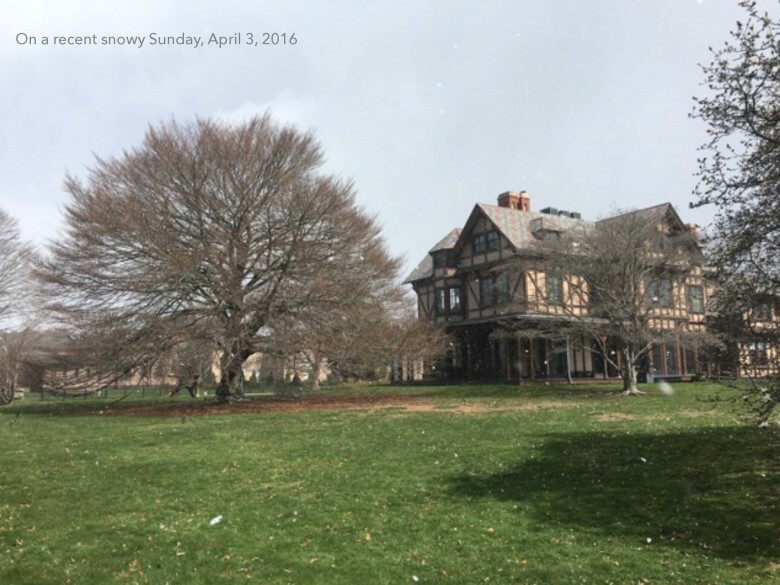 Newport-based researcher and scholar Nancy Austin, PhD will give a eulogy for the Fernleaf Beech tree at the event tonight. 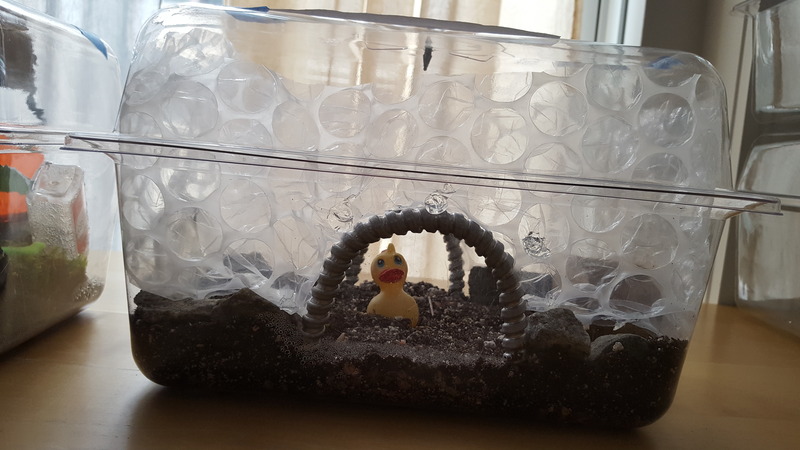 See images from her research process here! 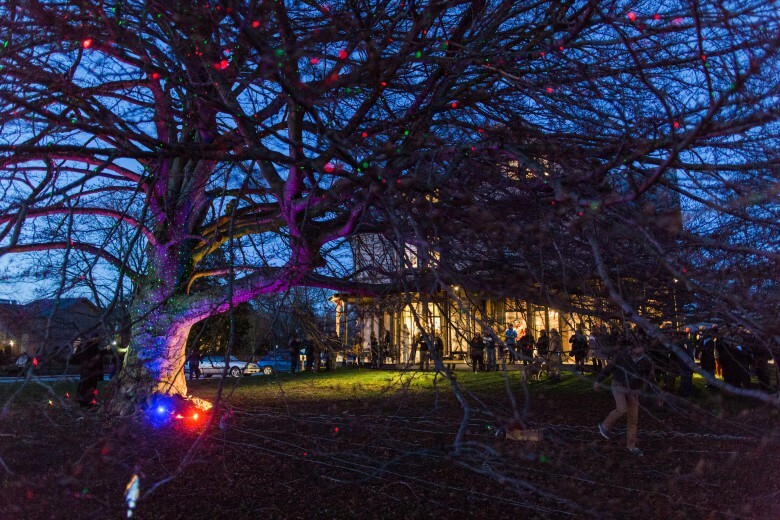 Join us for Art After Dark: Primavera & First Light Funeral at the Newport Art Museum on April 14th from 5:00pm – 9:00pm. 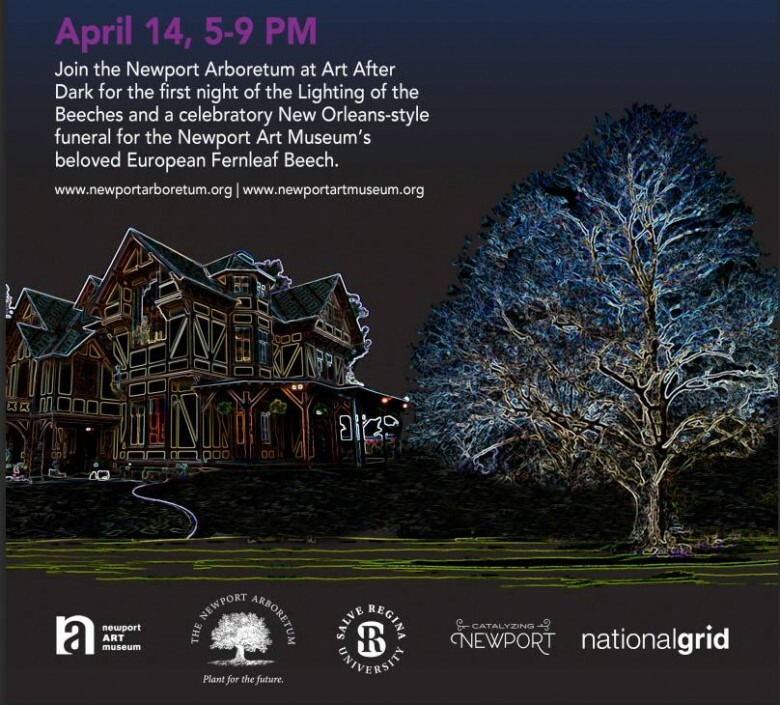 In the spirit of Catalyzing Newport’s “Culture of Yes” Catalyst residency with the Knight Foundation, steering committee members, The Newport Arboretum, Salve Regina University, NAM, and National Grid collaborate on the First Light Funeral, a farewell to the beloved 180-year-old Fernleaf Beech tree in true New Orleans style! 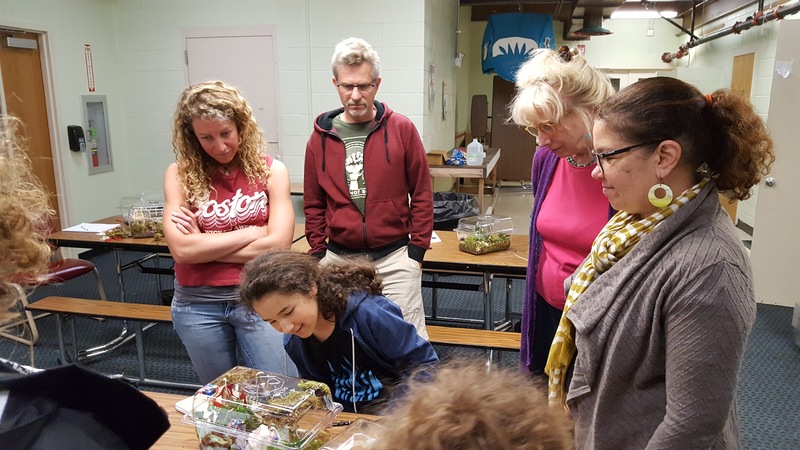 A collaborative effort of the Catalyzing Newport Steering Committee, this op-ed was originally published in The Providence Journal on November 2, 2015. Catalyzing Newport coordinators, Kathleen Shannon and SueEllen Kroll, invite us to change the course of history. 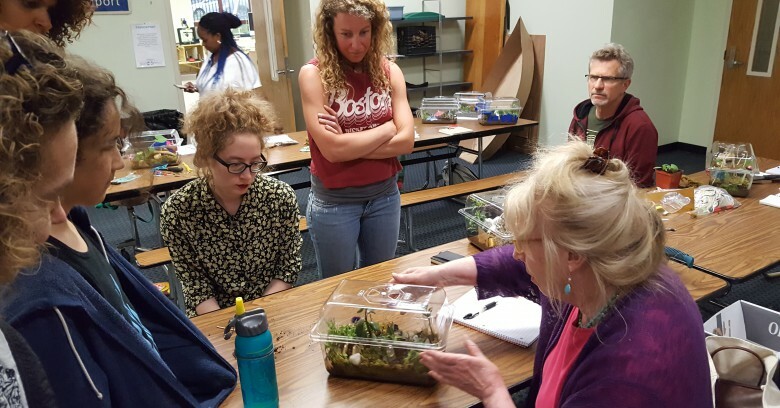 As this catalyst residency with Carol Coletta and Daniel Harris of the Knight Foundation comes to a close, the Local Action Team is looking to the future, developing a project that will make history.